Also upbeat about the chances for further legalization victories through legislatures next year are Marijuana Policy Project’s executive director, Rob Kampia, and the Drug Policy Alliance’s senior director of national affairs, Bill Piper. Kampia, however, was lukewarm and chose to hedge his bets on potential legislative moves. 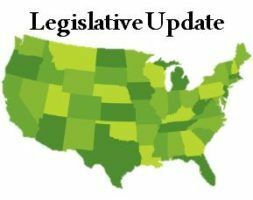 Kampia and Meltzer are most optimistic that legislatures may take bold steps forward in the adult-use sector. Kampia said New Jersey, Rhode Island and Vermont are at the top of his watch list for rec legalization. “New Jersey, I think, is the most likely,” Kampia said, referring to the fact that anti-cannabis Gov. Chris Christie leaves office in January and could be replaced by Democratic nominee Phil Murphy. Murphy has said he wants to legalize rec, and there’s already a bill to do so. “With a very liberal Democratic legislature,” Kampia said, “we think (New Jersey) would be ranked No. 1 or be tied with Vermont” (in the race to legalize adult use). Vermont and Rhode Island have been disappointments the past few years, since advocates have consistently ranked those legislatures among the ones most likely to be first to legalize rec. But 2018 could be the year both states break through, Kampia said. Other states that could make surprising moves on the rec front include Connecticut, Delaware and Maryland, Kampia and Meltzer said. When the discussion turns to medical marijuana, Louisiana is a key for both Marijuana Policy Project and Drug Policy Alliance. Although the state approved an MMJ program last year, there’s a big flaw that both organizations say lawmakers must address: a lack of protection from criminal prosecution for those who take part in the industry. “That’s the main piece we’re interested in,” said Piper, who added that without such protections the program isn’t truly viable. On straightforward legalization, Piper said DPA is targeting Iowa, which already has a limited CBD program that’s basically symbolic. “I think they’re going to find out pretty soon that (the Iowa CBD law) doesn’t really do what they thought it would do,” Piper said, alluding to overtures from Iowa lawmakers who want to make it possible for residents to obtain MMJ from Minnesota’s two medical cannabis producers. But aside from those two targets, there aren’t any obvious states in the advocacy groups’ legislative crosshairs. “It’s pretty sparse,” Kampia said. He also noted that MPP is playing a “two-year game” in several states, indicating the plan is to lay more groundwork in 2018 for legislative victories in 2019. It’s quite possible, Kampia added, that some state lawmakers could surprise observers next year. For example, he said, South Carolina has a “long-distance chance” of legalizing MMJ, and Tennessee could be another that might break in 2018. Meltzer believes Kentucky, Indiana and Texas are outside chances to expand their current CBD laws, since there have been attempts in those states to establish full-strength medical marijuana programs and public approval of MMJ continues to grow. But he’s not counting on it. All of the current marijuana laws are unconstitutional. They have all been made null and void by virtue of the legal fact that marijuana is a medicine, so say the various states and Florida by constitutional amendment. The entire War against People for Marijuana is unlawful. Marijuana has always been misclassified as a schedule 1 control substance with no medical use. This is the LIE the entire Drug War is based on and the Police State use to arrest and disenfranchise millions of citizens. Illinois is in the mix. The obstacle is the Republican Governor. And he will be gone by Nov 2018.
is actually the best place to ask but do you people have any ideea where to get some professional writers?